TIMEX Group Canada, Inc. (together with its parent, subsidiary and other affiliated companies "Timex" or "we") are pleased to advise you of our practices regarding any personal information we might collect when you visit our website. 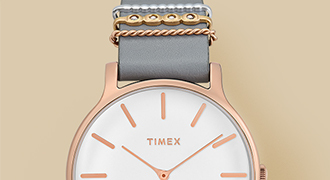 Other websites that may be linked to/from the Timex.ca website may have different policies. You should review the policies on these other websites to understand their policies and practices. When you register for an account or choose to buy products or services on our website, you may be asked to provide certain "personal information" (as defined under Privacy Legislation) about yourself, including your name, email address, mailing address, phone number, postal code, language preferences, credit card information and other contact information. We may also collect personal information from you when you complete an entry form to participate in a contest, ballot, promotion or survey, whether online or at an in-store event, by signing up for our newsletter (if any), by communicating with us by telephone, e-mail, in-store or otherwise, or by introducing or posting any text, image, video, audio, or any information, content or other materials through any of Timex social networking websites and web pages such as Facebook, Twitter or YouTube. This information will only be used for identification purposes, to facilitate purchase transactions, improve user experience, manage customer-business relations and provide the high level of service our customers have come to expect. We only collect personal information necessary to provide you with the products and services requested. 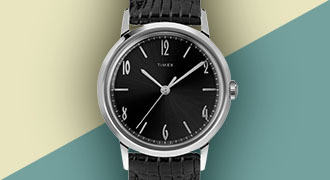 We employ organizational, physical and technological safeguards to restrict access to non-public personal information about customers to those employees and agents of Timex who need to know that information in order to provide our services, and to protect personal information from loss, theft, misuse, and unauthorized access, disclosure, alteration and destruction. 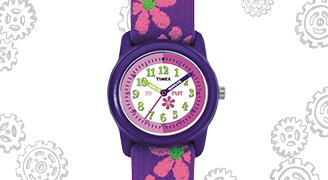 Timex will do its best to ensure that your personal information is correct and kept current. With certain limited exceptions as provided in Privacy Legislation, you have the right to access your personal information held by Timex and, as the case may be, to request that the information be corrected if it is inaccurate, incomplete or collected in violation of the law. You may update or correct information about yourself by emailing us at privacy@timex.ca or, if you are a registered user of our website, via the MyAccount portal. 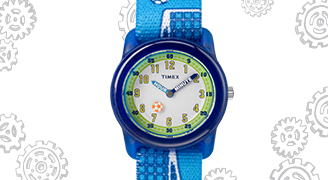 In circumstances where your personal information has been provided to Timex by a third party, we will refer you to that third party. For each visitor to the Timex.ca website, our web server automatically recognizes and stores information, such as the visitor IP address and domain name. We track such information to perform internal research on our users' demographic interests and behavior and to better understand, protect and serve our customers and community. We also use data collection devices such as "cookies". Cookies are small files placed on a visitor's hard drive to measure website activity and provide a better user experience. Cookies and other tracking devices may be used to tell us the time and length of your visit, the pages you look at on our website, the website you visited just before coming to ours, and the name of your Internet service provider. As you browse our website, advertising cookies will be placed on your computer so that we can understand what you are interested in. Our display-advertising partners then enable us to present you with retargeting advertising on other websites based on your previous interaction with our website. The techniques our partners employ do not collect personal information such as your name, email address, postal address or telephone number. You may adjust your browser settings to reject cookies if you so choose. If you wish to view the cookies which reside in your computer or change your browser settings to reject all cookies or ask for your approval before accepting them, use the preferences settings in your browser. If you do decide to disable our cookies, you may not be able to take full advantage of certain features available on our website.